Some cats can be a little protective of their space. 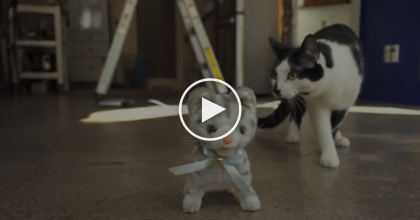 When Tiger the cat smells another cats odor anywhere in his house, he can sense that something fishy is going on! “Is my owner cheating on me? 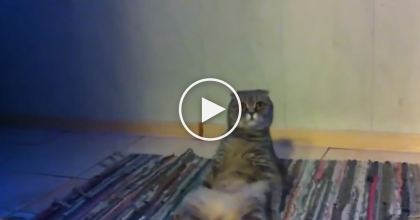 !…” It’s probably what this cat’s exact thoughts, but sadly this strange other cat odor cannot lie! 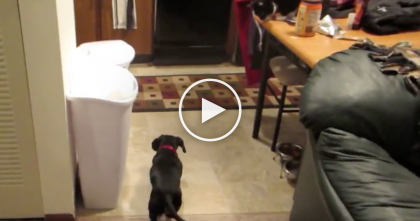 WATCH: Cat Discovers The Best Way To Make Friends With A Dog… How Did He Learn This?? 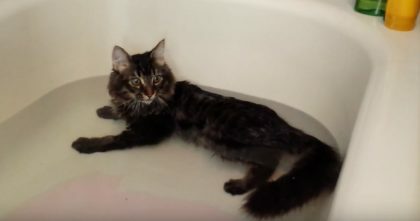 She Put Some Water In The Tub, But When This Kitten Notices…I CAN’T Believe His Reaction, Omg! !